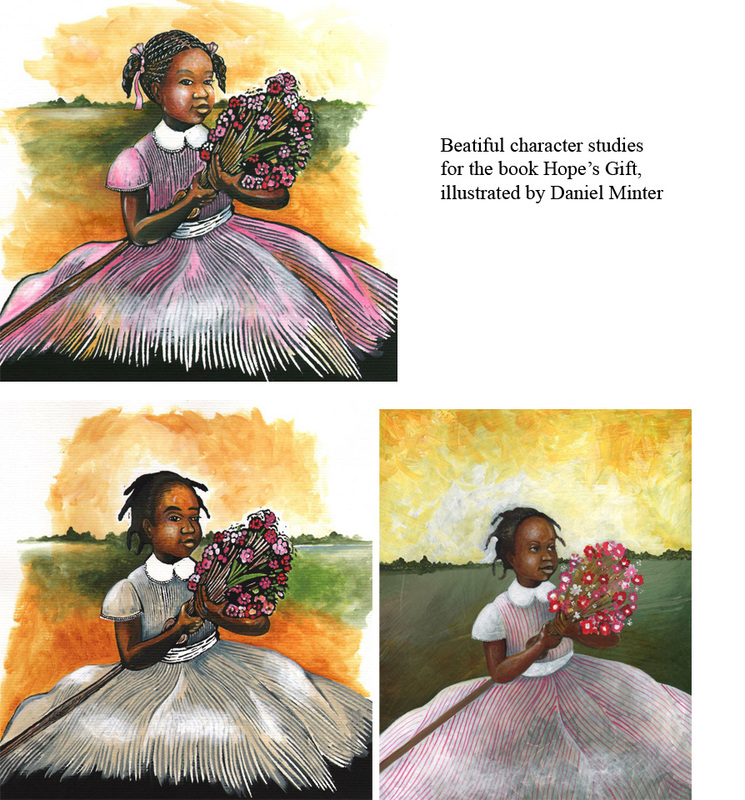 Artist-illustrator Daniel Minter comes to us hot off the heels of winning a 2013 Coretta Scott King honor for his illustrations in the book Ellen’s Broom, written by Kelly Starling Lyons. Minter has mastered both fine and commercial art. He creates his art using canvas, wood, metal, paper . . . the list goes on . . . twine, rock, sand, paint. Computer art too. An extraordinary talent he is, not many artists are as versatile. 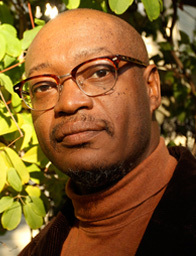 The creator of the 2004 and 2011 Kwanzaa stamp for the U.S. Postal Service, Minter employs a bold and colorful pallet. 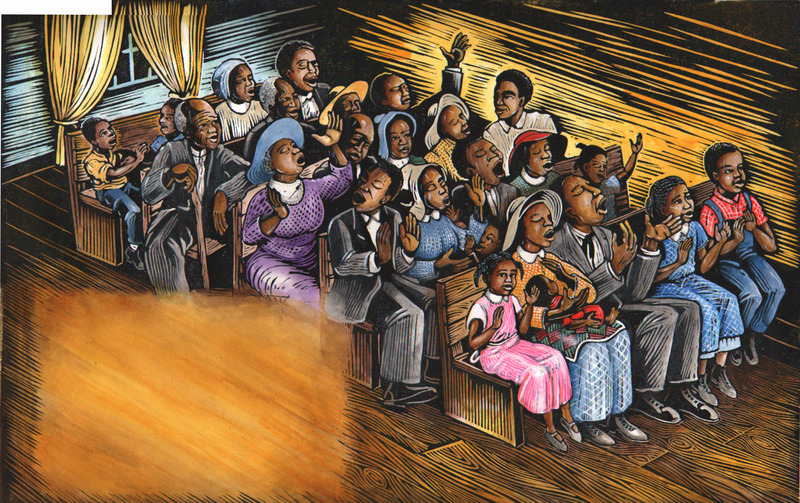 His art has been exhibited both nationally and internationally at galleries and museums including the Seattle Art Museum, the Tacoma Art Museum, Bates College, Hammonds House Museum and the Meridian International Center. Minter is not a newcomer to the field of children’s literature. 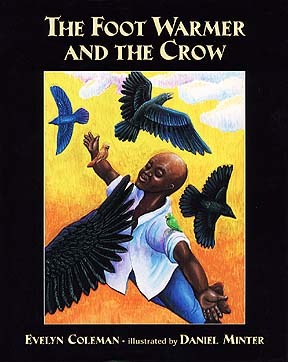 His first book, The Footwarmer and the Crow, written by Evelyn Coleman, published in 1994 to critical acclaim. 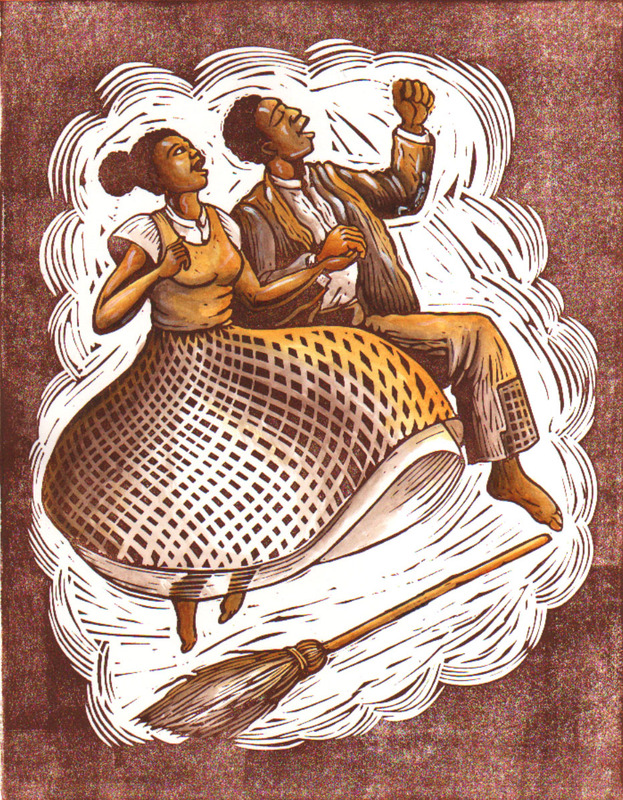 He is also the illustrator of Seven Spools of Thread: A Kwanzaa Story, by Angela Shelf Medearis, which is illustrated in his distinctive lino-cut technique. In 1993 as I was making an effort to infuse more of a statement with my work by combining my personal art sensibilities with my commercial illustration work wherever possible, I received a call from Harold Underdown at Macmillan Publishing requesting to see some samples of my artwork that included people and children. 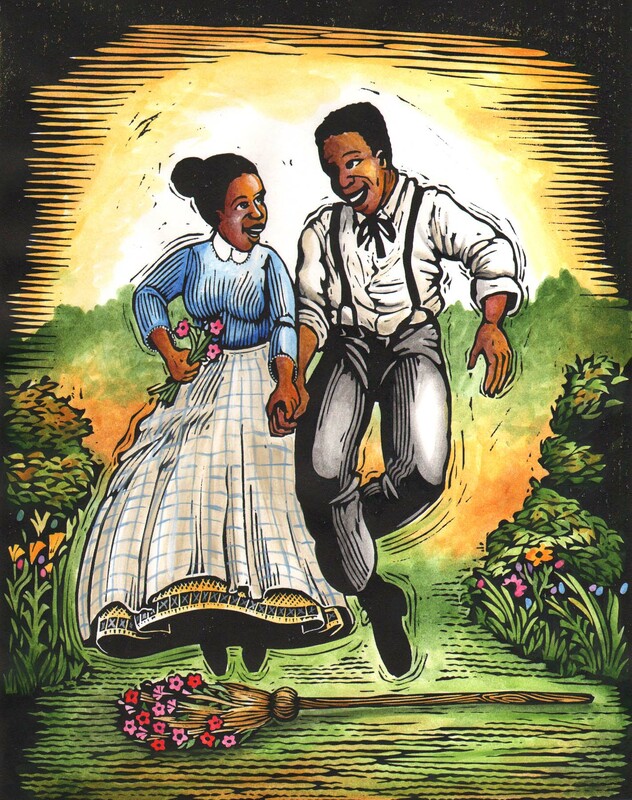 Apparently the author, Evelyn Coleman, had seen some of my paintings in Atlanta and thought that they would make a perfect match with her story, “The Footwarmer and the Crow”, and convinced Harold to consider me (an unknown artist) as the illustrator for her book. Normally, the choice of the illustrator is reserved for the editor while the author has little or no involvement. Many people are surprised at this and feel that of course, the author should pick the illustrator and tell them how to draw the characters, but there is very little reason for an editor to do this. My thanks goes to Harold and Evelyn for seeing what they were looking for in my work and stepping outside of the prescribed methods of finding an artist. The whole experience for me was a positive introduction to the world of picture books which is very different from the other rushed commercial illustration that I would do. The 9 month deadline I was given seemed like an eternity and the level of freedom to create was liberating. “The Footwarmer and the Crow” was an excellent first story for me. It blended perfectly with the narrative nature of the carved and painted wood art that had been working with for a few years. 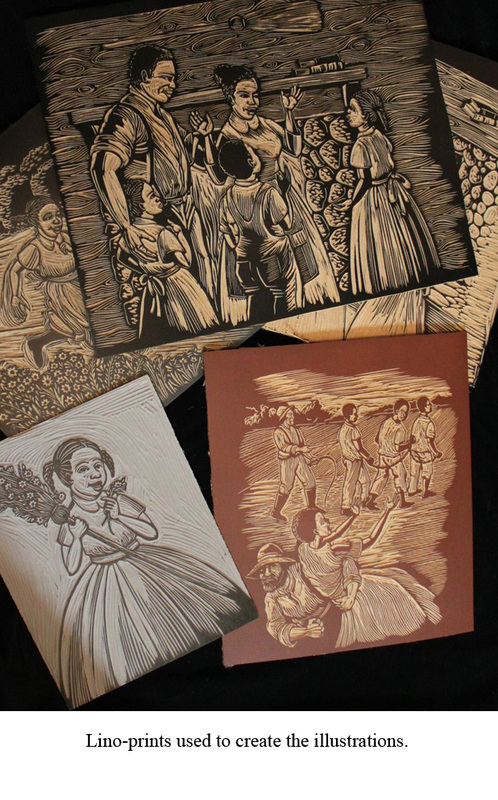 I used flat wood panels to carve in relief and paint each illustration for the book in the same manner that I was creating my fine art. I was able to tell the story in an expressive style and use a central character who looked like us. The work of Leo and Diane Dillion was perhaps the first children’s book illustrations that made me think seriously about perhaps applying my own art to a children’s story. Their work seemed to emanate from a fantastical futuristic ancient place that allowed them to tell stories with their art that was always optimistically forward looking. I looked to their work to for inspiration to develop my narrative craft and technique as an illustrator. I was drawn to the beauty, the research and care with which they illustrated all people of color. Their way of working was something to aspire to. As a model of how to live and be in the world, I find Ashley Bryan hugely inspiring. He has found a way to pour his heart into everything he does. The most assessable way of experiencing him is through the art of his children’s books but his storytelling and human interactions express the total of what he is. He lives his art and shares his life with the world. 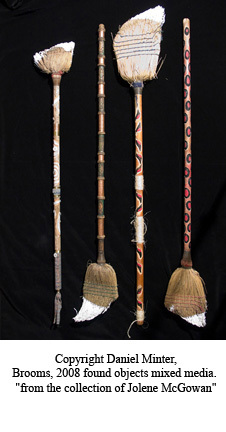 Over the years the broom has been used as an element in my art. Not only for its use as a ritual object in the African American wedding tradition, but also as an object of power for its representation of cleansing, change and new beginnings in general. 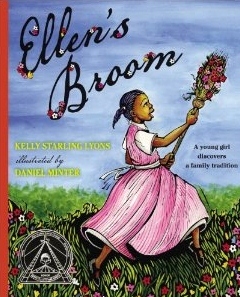 When an editor from Penguin book, Stacey Barney, contacted me about illustrating Kelly Staring Lyon’s story, “Ellen’s Broom”, I do not think she knew of my love for brooms. Just hearing the title my head began to spin with hundreds of ideas for using brooms. I was overly excited. After I calmed down and actually read Kelly’s manuscript, I could see that it was a quietly powerful story about emancipation and the right to marry. Those ideas of the right to marry are very relevant today but I decided to focus on Ellen using a style of illustration to fit the time and feel of the story, seeing that those were very important aspects just as much as the broom. With the help and guidance of the art director we narrowed the approach to the block print work instead of a more painterly style. I don’t know too much about art, but am learning from seeing the featured illustrators this month. I now know that I LOVE that lino-block thing. The sort of woodcut style gives it a feeling of history, but those colors really pop against those strict, straight lines. Wow. What an extraordinary artist. What gorgeous, gorgeous work! 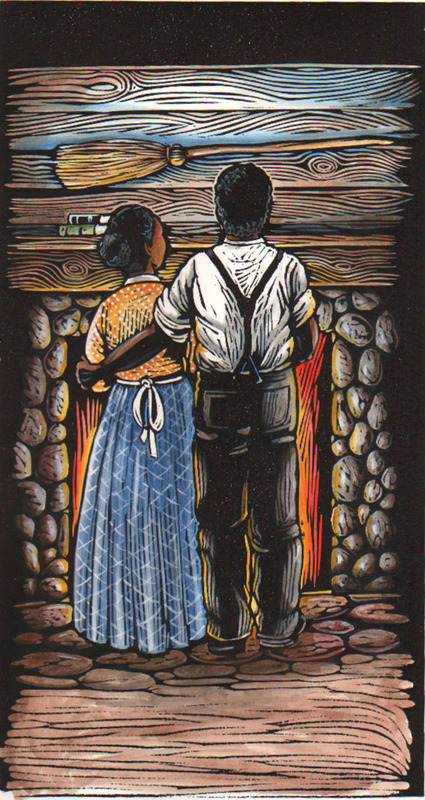 I love the rich, timeless feel of the lino block prints. Enjoyed learning more about Mr. Minter :).